I’ve been noticing my days have been going so fast, work has been extra draining lately for some crazy reason!! Working with people I knew I needed an awake look to last me the whole day (looking like a zombie scares clients). So I stumbled upon a subtle illusion that’ll make you eyes look bigger and more refreshed. 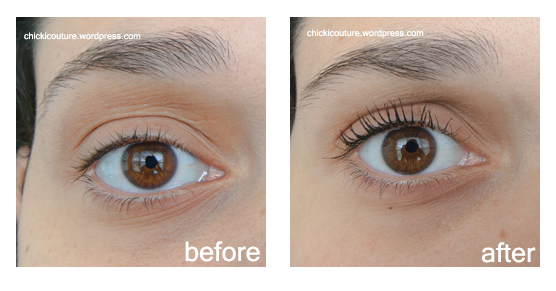 And this technique only uses a lash curler and your favorite mascara! You can pair this look with a any eye shadow, and a lip gloss and you’re out the door. So today I decided to try this technique on myself. Below you will see me doing each step, and the result. Lash Curler – I used itools Deluxe eyelash curler, because it’s long enough to accommodate any eye length and it really gives a strong curl. Your Favorite Mascara – I used Wet n Wild Mega Length water proof mascara, because the thin brush really paints and maximizes and best of all separates the lashes. 1. 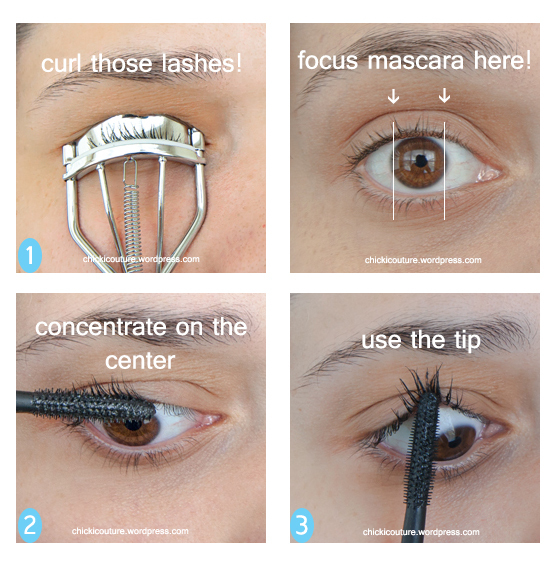 Curl your lashes at the base with the lash curler. 2. Concentrate the mascara on the center section of the upper lashes by directing the wand from up above and pulling each lash upwards as demonstrated in the picture. 3. Change direction by painting the same section with the tip of the wand from below each lash moving the tip upwards. Then I take my mascara and fan out the rest of the lashes. Note: For this tutorial we emphasized the center of the eye, as opposed to the whole eye, therefore you will notice in the “after” picture that the middle of the eye is darker than the edges. Will this be your new morning technique?